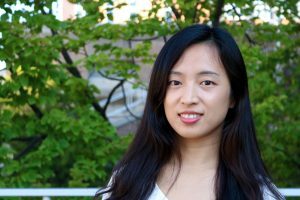 Yini Zhang is a Ph.D. student studying how emergent communication technologies impact the dynamics and outcomes of political communication. She is advised by Professor Chris Wells. Her research mainly concerns agency, algorithms, and attention in the hybrid media system. She is also interested in media psychology such as hostile media and fact-check effects in the new media environment. Before joining SJMC, she interned at the University of Maryland, College Park. She earned her M.A. from Renmin University of China and B.A. from Beijing Normal University.